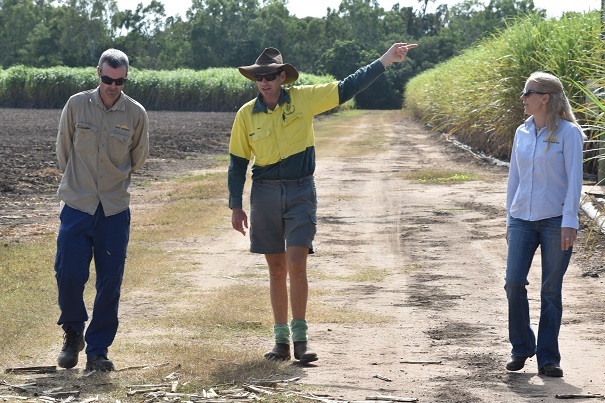 The Lower Burdekin region is home to a thriving sugar cane industry that supports hundreds of farming enterprises and families. Because of the dry climate, local cane growers rely on an extensive irrigation network, however, excess water leaving farms can impact local wetlands and waterways. In recent decades, the demand for a continuous supply of irrigation water has turned ephemeral wetlands into permanently wet systems, with high levels of chemicals and nutrients. This creates ideal conditions for weeds to thrive, and poor water quality disrupts fish migration, reduces biodiversity and habitat, and affects these wetlands’ ability to act as filters – reducing water quality further downstream. Because cane farmers in the region face increasing pressure to increase their productivity while minimising irrigation run-off, it’s important that projects aimed at restoring wetlands work with the agricultural community to produce outcomes that benefit on-farm profits and wetland health. NQ Dry Tropics’ Landscape Resilience project supported farmers located in the Lilliesmere Lagoon subcatchment to better understand the extent of their irrigation losses, and how this affected adjacent wetland systems. Participating farmers benefited from a tailored irrigation monitoring program, and received an individual report, as well as extension support and advice, enabling them to begin finding solutions to address water losses. The monitoring demonstrated that farmers in the Lilliesmere sub-catchment area are losing an average of 15-20 per cent of their irrigation to runoff, which, along with the associated nitrogen losses, is money down the drain! installing a recycle pit to capture tailwater that can be reused on crops – improving on-farm efficiencies, and minimising runoff to a neighbouring wetland. The monitoring results will be useful during the design and installation of the pit. 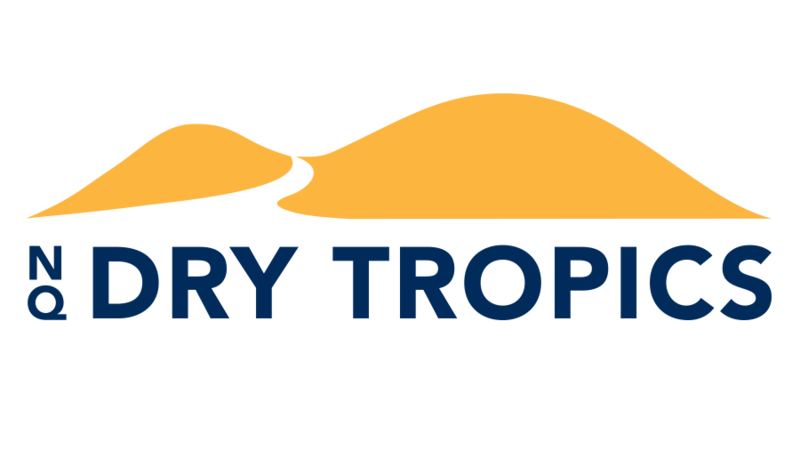 Participating farmers have also signed up for NQ Dry Tropics’ Reef Alliance Partnership Cane Extension Project, which gives them a year of free specialised agronomist advice and extension. They will also be eligible to apply for grants that come up in the future. “It has been really great to find out how much water is actually running off. Before we started this project we didn’t know, and once you’ve got the numbers you can look at ways of doing something about it. We’re looking at ways to change our practices to minimise the runoff. Hopefully it’s a win-win for us in the business and also the environment. Cane farmer, Paul Villis, middle, shows NQ Dry Tropics’ project officers Paul Godfrey and Lisa Pulman around his farm during the design phase of his irrigation monitoring program. 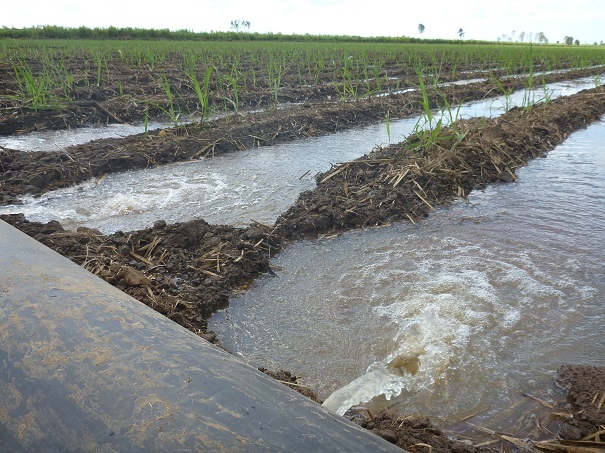 Furrow irrigation, also known as flood irrigation, often has unintended runoff that enters downstream wetlands and contributes to weed chokes and poor water quality.